My husband and I own our home. Within this next year we will be selling our current home and purchasing new. I have been a stay at home Mom for the last 7 years. My question is; would it be beneficial to us if I went back to work sooner than later? Would it benefit us when applying for another mortgage if I was employed also? Depends if you need additional income to qualify for a mortgage, but generally lenders want 2+ years of employment in order to use the income. For example, someone can’t just go get a job and a month later try to use that income because it hasn’t been proven over time. If I apply for a mortgage and include my boyfriend into my application, after I get approved and purchase a house, will my boyfriend have equal ownership with me even though he did not pay any down payment or any other fees? To be on a mortgage generally means being liable for the associated debt, being on title means having ownership in the underlying property. In reference to the question above by Diana. 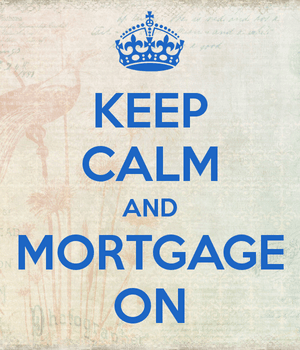 If you are on the loan for a mortgage refinance are you automatically on the title of the property? If not how does one get on the title? Typically someone on the loan is on title, if not there’s a quitclaim deed to add/remove individuals to/from title. I’m married and the house I live in is under my husbands name but we both purchased it together. We are currently getting divorced and he is giving me the house. How can I get the house put into my name? This is typically achieved via quitclaim deed and refinance to remove his name from both title and the mortgage, assuming he is on both.